Srinagar: The Srinagar-Jammu highway was shut for the fourth consecutive day on Saturday due to landslide debris on the highway at many places and slippery road conditions. The debris of landslides has accumulated at Digdol, Panthal, Battery Chashma and Anokhi Falls in the Ramsoo-Ramban belt, an official said, adding that the debris is being cleared. Besides snow has also accumulated at some places which is also being cleared, he said. The officials said that the highway will get cleared likely by Saturday afternoon and a decision to allow the traffic will be taken after consulting the Border Roads Organisation and the NHAI (National Highway Authority of India). 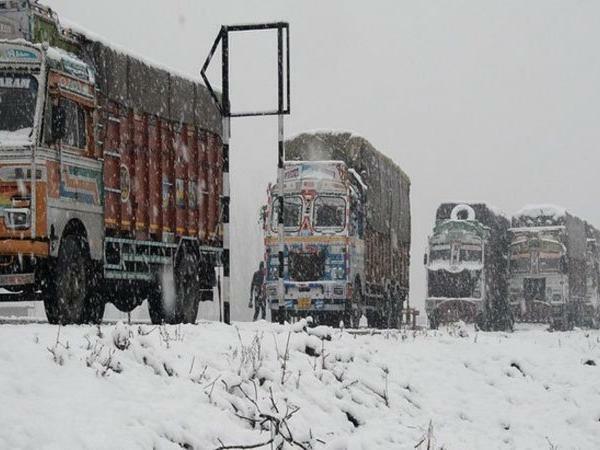 Over 3,000 trucks carrying essential supplies to Kashmir Valley are stranded on the highway for the last four days.